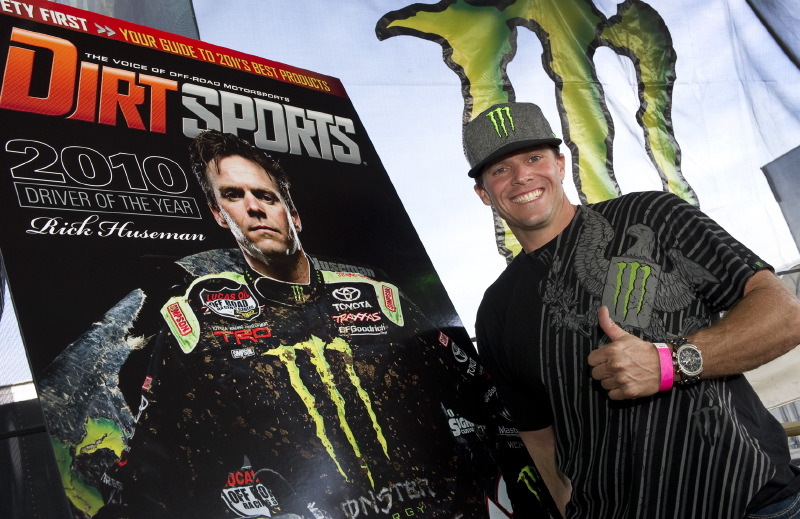 The enthusiastic winner was honored by Dirt Sports magazine publisher/owner Jim Ryan and LOORRS television announcer Cameron Steele during a special ceremony held in the massive Monster Energy hospitality area at this past weekend’s Supercross event at Anaheim Stadium. 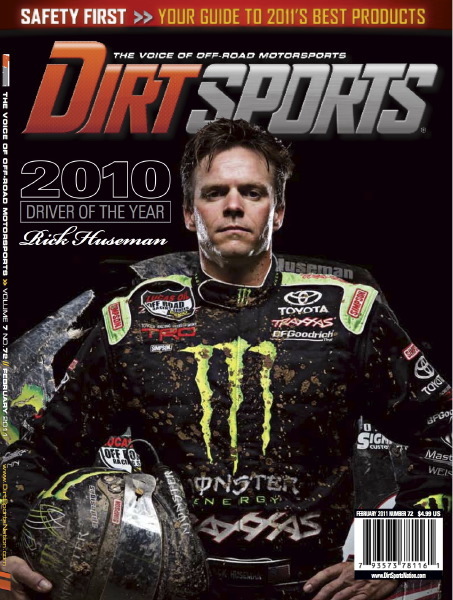 During the ceremony, Huseman’s gritty February 2011 cover, shot by artist Boyd Jaynes, was also unveiled. The event was also co-hosted by Blue C Communications and Wahoo’s Fish Taco. 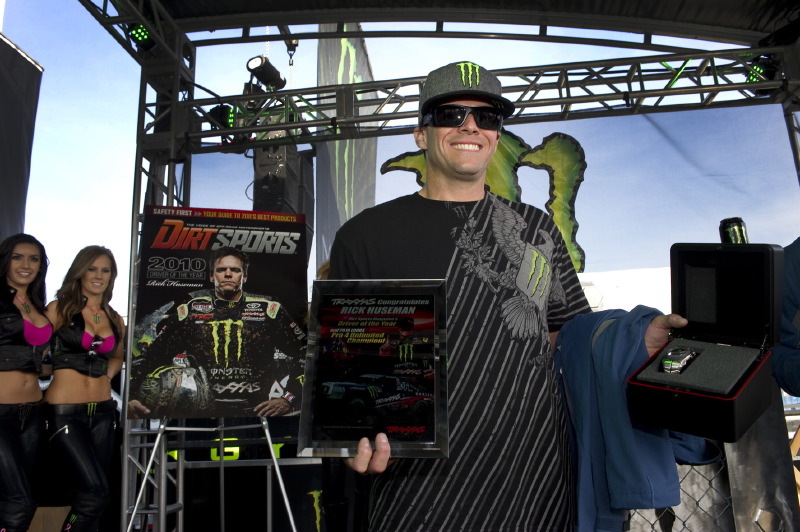 As part of the festivities, Huseman, and fellow honoree, CJ Greaves, were awarded a custom-made presentation box by Oakley featuring a specially engraved watch and high performance sunglasses; along with a one-of-a-kind Oakley “Driver of the Year” jacket. Caspino was recognized last Friday during the Best in the Desert (BITD) Parker 425 official driver’s meeting, while Healy was honored at last week’s King of the Hammers rock racing event.